Our article is early this month, in preparation for our Autumn Show. Look out for our pre-Show Display at Yamba Fair on Thursday, Friday and Saturday morning April 11-13, during shopping hours. Please note too, that our next meeting is the week after Easter, on Saturday April 27. 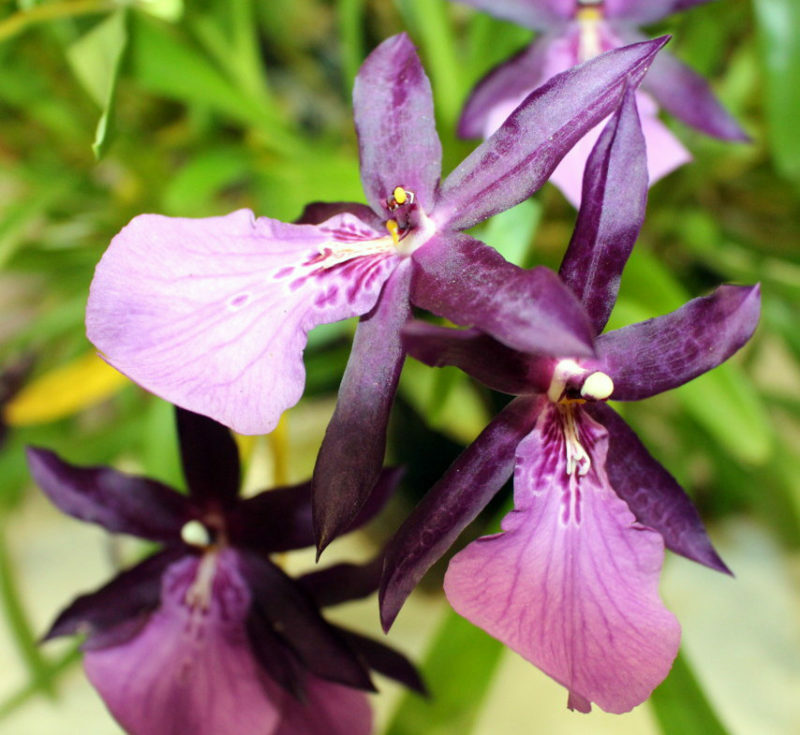 Guest speaker on Vandas will be Brian Heath, president of Grafton Orchid Society. Plants are to be benched by 1pm, for a 1.30pm start after the judging and includes lucky door and raffle prizes, plus afternoon tea, at the Presbyterian Church Hall, Church Street, Maclean. Our Autumn Show on public display to admire at the Maclean Bowls Club, will be on Friday May 3 from 9am to 8pm, and Saturday May 4 from 9am to 2pm, with more raffle prizes to be won, plus orchids for sale. At our meeting in March, our thanks to Ken Woods who shared his experience on soft-cane Dendrobiums. Judge’s Choice Orchid winner, Ken Woods’ Miltonia Anne Warne, which tied for Popular Vote with Neil & Carol Campbell’s Vanda Somsri Gold ‘Pachara.’ In the flower section a double winner for new member Pat Campbell’s Bromeliad, claiming both Judge’s Choice and Popular Vote. There were 75 plants benched. Congratulations and happy growing.